Although most insect bites and stings result in a local reaction without other complications, any or all of the following insects produce venom that can result in severe reactions constituting a medical emergency. Individuals with allergies to these stings can have anaphylactic reactions including local reactions (swelling and itching) at the site of the bite, laryngeal (throat) swelling, and at the most severe can result in anaphylactic shock. 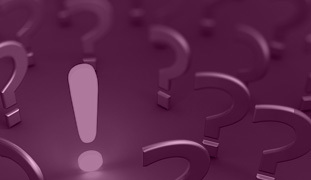 For a detailed list symptoms of allergic reactions to insect bites please visit the National Institutes of Health fact page. Flying Insects: Bees, Hornets, Wasps – Most active and abundant in summer months, bees, hornets and wasps are generally non- aggressive but can sting as individuals. If stung by an individual bee, hornet or wasp the best course is to remain calm, remove the stinger and wash the affected area with soap and water. 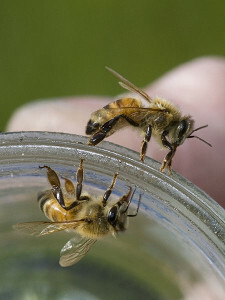 The largest threat posed by Arizona bees is swarming bee colonies. Africanized bees, along with a number of species of bees, hornets and wasps will attack as a colony if they feel their territory is threatened. Avoid wearing perfumes or colognes when hiking or in the outdoors, especially banana scented ones. Getting indoors or running in a straight line (several hundred yards) from an attack will reduce the number of stings incurred if bees swarm. These bees have been known to be very aggressive so staying away from a swarm is important. Do not jump into water as they have been known to hover and continue stinging once you emerge. Stingers can be removed scraping a blunt object like a butter knife against the skin to remove the stinger. Using tweezers or pinching the skin to remove the stinger is not recommended, as this can result in the release of additional venom. When you have a question about a sting seek medical attention. 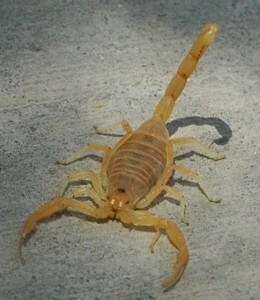 Scorpions – Bark scorpions are native to the Sonoran Desert. These insects are generally found in damp areas shady areas during the heat of the day and emerge at night. Scorpions also seek shelter from the heat in human dwellings. Reactions to scorpion stings vary; symptoms can include pain, numbness or tingling in the affected area. More acute responses include muscle twitching, convulsions or difficulty breathing. Scottsdale Healthcare and Scottsdale Emergency Associates have expertise in treating these envenomations. We utilize scorpion antivenom for the treatment of severe reactions to scorpion stings, however most envenomations don’t require use of the antivenom. Children are most at risk and should be evaluated by a healthcare provider. 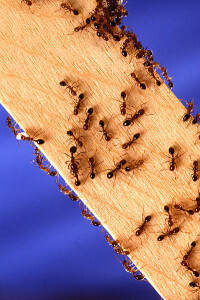 Fire Ants – Native fire ants and red imported fire ants are the most common variety of ants that produce painful and potentially dangerous bites. These ants bite to hold onto the skin then can sting several times injecting venom which produces a raised lesion that is painful and itchy. These ants become dangerous when the colony swarms and bite victims simultaneously instantly producing many bites. Attacks usually occur when a victim inadvertently disturbs the ants’ mound. When in doubt, seek medical attention. 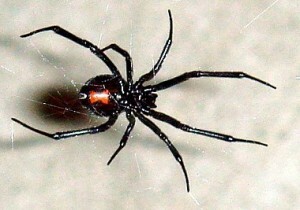 Spiders: Black Widow and Brown Recluse – The most common venomous spiders of Arizona are the back widow and brown recluse. These spiders live in dark secluded areas such as debris piles, closets and sheds and attics and only bite when disturbed. Both spiders produce venom that has ranging severity of reactions in humans, similar to the other biting insects. Increased heart rate, abdominal pain, and excessive sweating can be signs of a more serious systemic reaction to spider venom. Envenomations are rare and only occur in outdoor settings. The brown recluse spider cannot bite humans without some form of counter pressure, for example, through unintentional contact that traps the spider against the skin. When in doubt seek medical attention. For more details on spider bites visit the CDC Website.